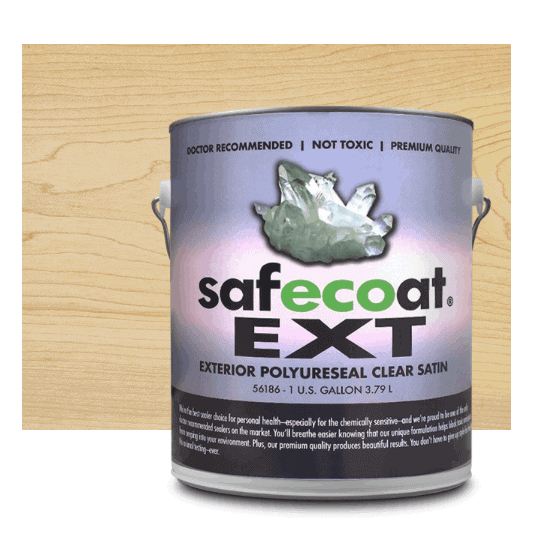 To achieve a satin finish on wood, apply multiple thin coats of Safecoat Polyureseal EXT Gloss until the surface is completely sealed, followed by one final coat of Satin. 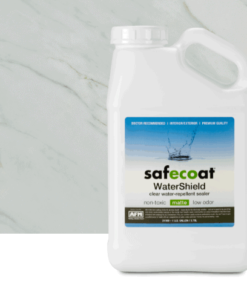 AFM Safecoat Polyureseal EXT is a premium quality crystal clear acrylic urethane that provides a tough, durable surface for exterior use on walkways, pool decks, floors, patios and showrooms. Can also be applied to raw wood or wood stained with Safecoat wood stains, and concrete or previously painted surfaces that are properly prepared. AFM Polyureseal BP can be used on unfinished (or properly prepared and sanded previously finished) wooden surfaces such as floors, furniture and cabinetry, and is excellent for gym floors and auditoriums. Brush, roll or spray. DO NOT SHAKE. Shaking will cause air bubbles. Stir gently and thoroughly before application. This product appears milky when wet, but dries rapidly to a beau- tiful clear coating. Thinning is not recommended. Do not apply late in the day or when dew, rain, fog or mist is likely (moisture will damage the fresh paint film). Apply at temperatures above 50 degrees F. Do not apply if temperatures below 45 degrees are expected within 24 hours. 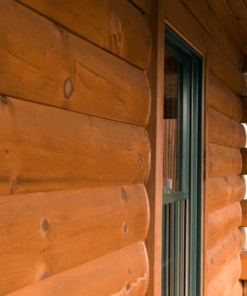 Cold weather or excess humidity or a sudden temperature drop will greatly affect any finish at the time of application. Dampness can dull the gloss. Do not paint in direct sun. Use a clean brush or roller. 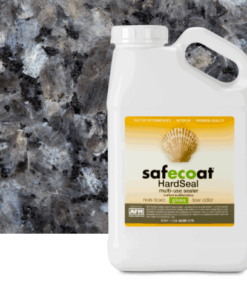 For maximum durability, we recom- mend at least two thin coats. Clean tools and equipment while they are still wet with a solution of SafeChoice Super Clean and warm water.